211 Bay Area - Connecting people with community services and resources. 211 is to Social Services what 911 is to Emergency Services. 211 is an easy to remember, toll-free phone number that connect callers with local community services, such as food, shelter, counseling, employment assistance, quality child care and more. During a disaster, 211 provides critical information about evacuation routes, food and shelter, as well as job search and permanent housing support during long-term recovery. Maintained by United Way Bay Area. 311 San Francisco Customer Service Center - Easy-to-remember telephone number that connects residents, businesses, and visitors to highly-trained Customer Service Representatives ready to help with general government information and services, 24-hours a day, 7 days a week, 365 days a year. Official site maintained by the City and County of San Francisco. AirNow - Every day its Air Quality Index (AQI) tells you how clean or polluted your outdoor air is, along with associated health effects that may be of concern. See San Francisco. Alliance Française de San Francisco - Provides high quality French courses in a friendly, and relaxed yet dynamic atmosphere. Private, group and children's lessons and classes. Additionally, its library is stocked with 20,000 books, as well as French magazines and newspapers. American Civil Liberties Union (ACLU) of Northern California - ACLU affiliate that works to protect civil liberties in Northern California. Association of Bay Area Governments (ABAG) - One of more than 560 regional planning agencies across the nation working to help solve problems in areas such as land use, housing, environmental quality, and economic development. Artist Resource: San Francisco Bay Area - Posts post calendars of shows, events and classes, readings, interactive forums, competitions, jobs, galleries, portfolios, hundreds of art links, art supplies, advice and techniques, and artists' stories. Asian Health Services - Serves the immigrant and refugee Asian community regarding its health rights, and to assure health care access regardless of income, insurance status, language, or culture. Association of Bay Area Government (ABAG) - The Bay Area's council of governments. A great source for demographic information, reports, and analysis about the region. ATM Locator - Locate an ATM anywhere in the world. Audobon San Francisco Bay Restoration Program - Seeks to resore San Francisco Bay to ensure thriving fish and wildlife populations, clean water, and a high quality of life. Bad Rap - San Francisco-based network of owners, rescuers, and supporters of American Pit Bull Terriers. Bar Association of San Francisco - A nonprofit voluntary membership organization of over 9,000 members in the San Francisco Bay Area. CLE, Voluntary Legal Services Program, Lawyer Referral Service, Events Calendar, Attorney Search, Publications. Bay Area - Autos and driving, business and money, community listings, computer and Internet, jobs and careers, news and media, real estate and home, recreation and outdoors, education, family and kids, food and dining, government and reference, health and medicine, hobbies and pets, science and technology, shopping and classifieds, sports, travel and visitors, entertainment and movies, weather and traffic. Bay Area Council - A business-sponsored, CEO-led, public-policy organization representing employers dedicated to promoting economic prosperity and quality of life in the region: Outlook Conference, Water Transit, transportation, sustainable development, environment, housing, air quality, education, Spare the Air, telecommunications, Economic Pulse, land use. Bay Area Council Economic Institute - Connecting business, labor, government and education. Composed of respected university and business economic analysts, who advise and assist the Economic Institute in developing its research and analytic products. Also see Publications and Resources pages. Bay Area Economic Forum - Sponsored by the Bay Area Council a business organization of more than 250 CEOs and major employers, and the Association of Bay Area Governments, representing the region's 101 cities and nine counties, the Bay Area Economic Forum provides a shared platform for leaders to act on key issues affecting the regional economy. It accomplishes this by producing focused analyses on key issues affecting the Bay Area and its future, and by mobilizing regional and state leaders to address those issues, based on working partnerships and a strong foundation of economic and policy analysis. Bay Area Green Business Program - Verifies that businesses meet its higher standards of environmental performance. A partnership of government agencies and utilities helps local businesses comply with environmental regulations and take actions to conserve resources, prevent pollution, minimize waste, and reduce their carbon footprint. Offers businesses and agencies an easy-to-use framework for improving environmental performance. More than 2,200 businesses and public agencies have been certified since 1996. The Association of Bay Area Governments coordinates the Program, which is implemented by Green Business Coordinators in 9 Bay Area participating counties. Bay Area Legal Aid - Provider of free civil legal services in the Bay Area to low-income people regardless of their location, language, or disability. Assists people in the areas of housing, public benefits, health access, and domestic violence. Bay Area Performing Arts Spaces - A comprehensive, state-of-the-art, searchable database of performing arts venues and facilities in the greater Bay Area for classes, workshops, auditions, rehearsals and even performances. Bay Area Seed Interchange Library (BASIL) - Part of a growing network of concerned farmers and community gardeners dedicated to conserving the remaining genetic diversity of our planet's seed stock. Bay Area United Against War - Regional coalition formed to oppose a U.S. war on Iraq. Bay Area Volunteer Information Center - Provide information about volunteer opportunities in the San Francisco Bay Area. Bay Area World Trade Center - From Silicon Valley to Oakland, Napa, and Sonoma, the Bay Area World Trade Center serves the greater 9 counties San Francisco Bay Area - one of the most powerful regional economies in the world. Part of a network of 300 world trade centers worldwide, the Bay Area World Trade Center promotes Bay Area businesses throughout the world, thereby contributing to regional economic growth through international trade and commerce. Bay City Guide - Guide to San Francisco and search engine. Bay of Rage - An anti-capitalist initiative based in the Bay Area. Site functions as a clearinghouse for calls to action, event announcements, communiques and analysis. Berkeley Free Clinic - Provides free health care for the local community, offering services from peer counseling to anonymous HIV testing. Other services include: men's STD clinic, women's health clinic, dental care, referral services, and a variety of general medical concerns. Berkeley Parents Network - This web site contains thousands of pages of recommendations and advice contributed by members of the Berkeley Parents Network, a parent-to-parent email network for the community of parents in the Berkeley, California area. Also see San Francisco Public Schools page. Best of San Francisco Guide - Hotels, restaurants, tours, entertainment, shopping. Better Business Bureau (BBB) and BBBonline - BBB reports provide information on over two million organizations. The BBB also promotes trust and confidence on the Internet through the BBBOnLine Reliability and the BBBOnLine Privacy programs. Contact locally by phone in the San Francisco Bay Area at 510-238-1000. Bohemian Grove Action Network - News and updates on Bohemian Grove , a 2,700-acre campground located at 20601 Bohemian Avenue, in Monte Rio, California, belonging to a private San Francisco-based men's art club known as the Bohemian Club. In mid-July each year, Bohemian Grove hosts a two-week, three-weekend encampment of some of the most powerful men in the world. Boston Properties - A self-administered and self-managed real estate investment trust - one of the largest owners, managers, and developers of first-class office properties in the United States, with a significant presence in four core markets: Boston, Washington, D.C., Midtown Manhattan and San Francisco. Buckelew - Provides services and housing, increasing the self-sufficiency and enhancing the quality of life for adults with mental illness. Burns Institute for Juvenile Justice and Fairness - The W. Haywood Burns Institute (BI) is a San Francisco-based national nonprofit. It is a leading organization in the field of juvenile justice and ethnic and racial disparities reduction, which helps to protect and improve the lives of youth of color and poor youth by promoting and ensuring fairness and equity in youth-serving systems across the country. Causa Justa :: Just Cause - Through rights-based services, policy campaigns, civic engagement, and direct action, improves conditions in neighborhoods in the San Francisco Bay Area and contributes to building the larger multi-racial, multi-generational movement needed for fundamental change. California Budget Project - A Sacramento group that publishes independent analysis of state budget and policy issues. California Center for Land Recycling - Promotes the rehabilitation and reuse of contaminated or underused sites within existing urban areas so that they may be used for infill development. California Center for Regional Leadership - A network of regional organizations working toward environmental justice, smart growth, and a healthy economy. California Child Care Resource and Referral Network - The oldest, most well-established system of child care Resource and Referral (R&R) agencies in the United States. The Network combines practical knowledge at the local level with extensive experience in working on state and national child care policy. California Climate Change Research Center - The mission of this UC Berkeley Center is to advance the state-of-the-science regarding the potential regional impacts of climate change on California and its economy, ecology and society. California Department of Forestry and Fire Protection - Information and resources on fire protection, fire prevention, resource management. Also see Current Fire Incident Information page. California Farmers' Market Association - Your source for field-ripened fresh fruits and vegetables, freshly baked breads and pastries, flowers, gourmet appetizers and gifts, fresh fish, nuts, mushrooms, and more. Serving the San Francisco Bay Area including Bayfair, Blossom Hill, Daly City, Fort Mason Center, Moraga, Morgan Hill, Mountain View, San Jose, Parkmerced, Saratoga, San Francisco and Walnut Creek. California Historical Society - Preserves, presents, and educates on materials relevant to California's history. California Pacific Medical Center - One of the largest private, not-for-profit, academic medical centers in California. A Sutter Health affiliate. Also see CPMC Emergency Services. California Research Bureau - Provides nonpartisan research services to the Governor and his staff, to both houses of the legislature, and to other state elected officials. Cameron House - A faith-based community organization serving the needs of Chinatown and the Asian community of the San Francisco Bay Area. Green Cross, The - High-quality medical cannabis by delivery to anywhere in the city, be it your home, your work, or even a café you are relaxing in. Fully licensed dispensary in San Francisco serving qualified California patients. Harvest - Extraordinary flower varietals; the most advanced, chemically pure concentrates; and the healthiest and most delicious edibles that provide consistent and reliable results. Works with local farmers and artisans. Capitol Weekly - The newspaper of California government and politics. CELLspace - Provides a supportive environment for the exploration of art, education, performance and community building. Chibi Chan Preschool - Provides a nurturing and stimulating environment for children age 2 to 5 years old. The curriculum is enriched with exciting themes, including multicultural concepts that are explored through play, arts and crafts, cooking, dance, music, social studies, reading, science, and language development activities. Each hands-on activity helps to enhance the development of cognitive, social, emotional and physical readiness skills. Chinatown Alleyway Tours - A not for profit, youth-run and youth-led program sponsored by the Adopt-An-Alleyway Youth Project, which is under the Chinatown Community Development Center. As a group of young leaders, their mission is to educate people about the Chinatown community. Chinatown Community Development Center - A community development organization with many roles, serving as neighborhood advocates, organizers, planners, as developers and managers of affordable housing. Chinese for Affirmative Action (CAA) - Promoting the civil and political rights of Chinese and Asian Americans. Churches in San Francisco - A directory. Citizen Space - Coworking spaces in San Francisco and San Jose. City Search - San Francisco city guide and search engine. City Storage - Clean, secure indoor self storage and wine storage units. CleanPowerSF - The City's clean power program that promises to provide San Francisco with a 100%, California-certified renewable energy alternative. CleanPowerSF would give residential electricity consumers a choice by allowing residents to choose between two energy providers (CleanPowerSF or PG&E). When residents choose CleanPowerSF, not only will they reduce their personal carbon footprint, but they'll also decrease San Francisco's greenhouse gas emission and help combat global climate change. Coalition of San Francisco Neighborhoods (CSFN) - Open to any mult-issue neighborhood organization with 35 or more members having as its primary purpose the improvement of its entire neighborhood. Coalition on Homelessness - COH was organized in 1987 to garner the active participation of poor people on both the design and critique of public policy and non-profit services that result in permanent solutions to poverty. It is a unique organization in that the driving force is low income and homeless people, working in every aspect of the organization, from the volunteers to the staff and leadership body. Coleman Advocates for Children and Youth - Local community organization that works to transform San Francisco's services and policies for children, youth and their families in order to create a more family-friendly community. College of Environmental Design, UC Berkeley - Home to UC Berkeley's programs of Architecture, City and Regional Planning, and Landscape Architecture and Environmental Planning. Commonweal - Health and environmental research institute in the Point Reyes National Seashore outside the coastal town of Bolinas, California. Principal areas of work are with (1) people with cancer and health professionals who work with people with life-threatening illnesses; (2) children and young adults with learning and social difficulties, and the childcare professionals who work with them; and (3) the global search for a healthy and sustainable future. Commonwealth Club of California - Public affairs forum. Communities for a Better Environment (CBE) - The mission of CBE is to build people's power in California's communities of color and low income communities to achieve environmental health and justice by preventing and reducing pollution and building green, healthy and sustainable communities and environments. Community Housing Partnership - Dedicated to helping homeless people secure housing and become self-sufficient. Consumer Action - A non-profit, membership-based organization that was founded in San Francisco in 1971. During its more than three decades, Consumer Action has continued to serve consumers nationwide by advancing consumer rights, referring consumers to complaint-handling agencies through our free hotline, publishing educational materials in Chinese, English, Korean, Spanish, Vietnamese and other languages, advocating for consumers in the media and before lawmakers, and comparing prices on credit cards, bank accounts and long distance services. Copy Circle - Copying and printing services. Business identity. 1701 Polk St , Polk Str., San Francisco, CA 94109-3616. (415) 474-575.
craigslist: San Francisco Bay Area - Provides local classifieds and forums for jobs, housing, for sale items, personals, services, local community, and events. Creative Growth - Provides creative art programs, educational and independent living training, counseling and vocational opportunities for adults who are physically, mentally and emotionally disabled. Crissy Field - A stunning park site within the Golden Gate National Parks. Crissy Field's 100 acres of wild, windswept shoreline are a favorite place for walkers, joggers, boardsailors, bicyclists, thousands of birds and the occasional seal. At the heart of Crissy Field is the Crissy Field Center - a partnership of the Golden Gate National Parks Conservancy and the National Park Service. This dynamic community environmental facility offers a wide variety of programs, services, and amenities for visitors of all ages. Walks, workshops and special events, designed to link urban communities with their environments, are available for the general public, community groups, and schools. The Center also houses a media lab, arts workshop, urban ecology lab, and resource library, as well as a cafe and gift store. Diamond Certified - Directory of high quality local bay area companies and businesses. Discovery Street Tours - Urban science expeditions in San Francisco. Don Herron's Official Website - Home on the web for San Franicso's famous Dashiell Hammett Tour. Drew School - An independent, coeducational, college-preparatory high school located in San Francisco. Earthquakes (SFGate) - San Francisco Chronicle survival and preparedness information. SF Quake Bot - A bot that live-tweets earthquakes in the San Francisco Bay area. USGS Earthquake Hazards Program - U.S. Geological Survey information on latest earthquakes and earthquake science. East Bay Alliance for a Sustainable Economy (EBASE) - Building a movement to end low-wage poverty and create economic equity in the East Bay. Works to raise labor standards, increase fairness in the workplace, and expand economic opportunity to all communities. Eco Copy - Environmentally friendly copy and print store. We offer a wide range of printing services including black & white copying, color copying, poster and banner printing, scanning, fax, business card printing and design, and binding. 1323 Polk Street, San Francisco, CA 94109. (415) 775-2679. 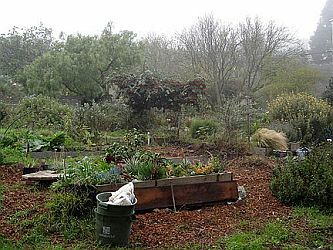 Ecology Center - Berkeley organization providing non-commercial information about household products, ecologically-sensitive methods of living, toxic threats to society and alternatives to those threats. Eleventh Coast Guard District Public Information (USCG - Northern California) - U. S. Coast Guard Sector San Francisco. Environmental Action Committee of West Marin - Working to provide long-term protection and conservation of the ecosystems and rural communities of West Marin. Exploratorium - Housed within the walls of San Francisco's Palace of Fine Arts, the Exploratorium is a collage of over 650 science, art, and human perception exhibits. The Exploratorium is a leader in the movement to promote the museum as an educational center. EuroUSA: San Francisco and the Bay Area - Extensive directory of San Francisco links and resources. Film Acting Bay Area - Study acting where films are made. Offers film acting classes of all levels. Classes are taught by actors, directors and producers in the San Francisco Bay Area. Fisherman's Wharf Merchants Association - Fisherman's Wharf information including: calendar of events, things to do, nightlife, map, lodging, restaurants, shopping. Flu Shot Locations and Information - Often, the easiest way to receive a flu shot is to visit your healthcare provider. However, there are a number of other locations open-to-the-public where you can receive a flu shot. Listed here are a number of links with information on local flu shot providers, sorted by the areas served. Fort Mason Center - A National Historic Landmark, the Center houses nearly fifty nonprofit organizations and is the setting for more than 15,000 meetings, conferences, performances, and special events, attended by 1.5 million visitors each year. Friends of the Urban Forest - Provides financial, technical, and practical assistance to San Franciscans for tree planting and tree care. General Assistance Advocacy Project (GAAP) - Serves homeless and marginally housed San Franciscans by helping them obtain the public benefits to which they are entitled. George Peabody Elementary School - Elementary school (K-5) with a small-town family feeling located in San Francisco's Inner-Richmond neighborhood. 251 6th Avenue, San Francisco, CA 94118. Principal: Willem Vroegh. PH: (415) 750-8480. Also see SFUSD information and School Accountability Report Card (SARC) reports. Glenborough - With primary investment markets in Northern California, Southern California, Denver and Washington, D.C., Glenborough currently has over $2.5 billon of assets under management, including core, value-add and development properties. See San Francisco properties here. Glide - Serves the poor and disenfranchised of the entire San Francisco Bay Area. Goethe-Institut San Francisco - The Goethe-Institut organizes a variety of programs in the arts and humanities, highlighting current aspects of German and European cultural, political, and intellectual life. In close collaboration with local partners, the Goethe-Institut co-hosts film series, conferences, exhibitions, concerts, dance, and theatre performances, cutting edge projects, interactive media and computer related events. Golden Gate Club - Located in a tranquil forest grove overlooking San Francisco Bay, the Golden Gate Club is the Presidio's largest celebration and meeting facility. The graceful and historic Spanish Colonial Revival building offers a spectacular setting for weddings, private parties, meetings, and conferences. Golden Gate Mother's Group (GGMG) - GGMG is a volunteer organization for moms, run by moms. It is always looking for moms who would like to help, whether it's for a specific event or on an ongoing basis. Contact the committee you'd like to volunteer on, or if you're interested in officially joining its steering committee, contact its co-directors at codirectors@ggmg.org. Golden Gate Mysteries - A bibliography containing over 950 titles of mystery, detective, and crime fiction with the action, or significant parts of the action, set in San Francisco Bay Area. Golden Gate Restaurant Association (GGRA) - A non-profit trade association founded in 1936 to promote, extend and protect the interests of the restaurant industry in the San Francisco Bay Area. Great Communities Collaborative - The first-ever coordinated, regionwide attempt to do organizing to support transit oriented developments around specific stations in the Bay Area. Greater Good Science Center (University of California, Berkeley) - An interdisciplinary research center devoted to the scientific understanding of happy and compassionate individuals, strong social bonds, and altruistic behavior. Its research agenda engages scholars in multiple disciplines, including neuroscience, psychology, sociology, political science, economics, public policy, social welfare, public health, law, and organizational behavior. Greenbelt Alliance - Founded the year before SPUR as a sister organization, Greenbelt works to stop suburban sprawl and direct growth into compact walkable communities. Habitat for Humanity San Francisco - Brings people together to provide affordable ownership housing for low-income families and individuals in San Francisco. Haight Ashbury Free Clinics and Walden House - Both Haight Ashbury Free Clinics and Walden House have both grown over the years, becoming national models for community healthcare, substance abuse treatment and mental health services. The mission of Haight Ashbury Free Clinics is to increase access to healthcare for all and improve the health and well being of its clients. The mission of Walden House is to give hope and change lives for people affected by substance abuse and mental health conditions. Hands on Bay Area - Every day, Hands On Bay Area volunteers, 10,000 strong, are teaching children the joy of reading, beautifying our parks, coaching athletes with disabilities, cooking meals for our homebound neighbors, playing bingo with seniors, distributing food to low income families, cleaning up our city blocks and learning what it means to create positive change. Health Clubs in the San Francisco, CA Area - Find the best health clubs and gyms for fitness training in Bernal Heights, Cow Hollow, Diamond Heights, Duboce Triangle, Eureka Valley, Fisherman's Wharf, Haight-Ashbury, Hayes Valley, Inner Sunset, Japantown, Laurel Heights, Marina District, Mission District, Nob Hill, Noe Valley, North Beach, Outer Sunset, Pacific Heights, Presidio, Rincon Hill, Russian Hill, San Francisco, Sea Cliff, Sunset District, Telegraph Hill, The Marina, The Presidio, Treasure Island, Twin Peaks and Western Addition and throughout the whole San Francisco Area. YMCA of San Francisco or search for YMCA nearest you. Hello San Francisco - Art, music, events, weather, maps and local search. Also find San Francisco real estate and restaurants. High Schools - Also, San Francisco Public Library now offers a fully accredited online high school diploma and career certification program through Career Online High School (COHS). Hillside Club - Founded in the late 19th century to promote good design practices in the Berkeley hills, the Hillside Club today is a community-based membership organization supporting the arts and culture. Hotel Council of San Francisco - Representing all segments of the city's lodging industry, he interests of over 65 member hotels in San Francisco on a variety of government and public affairs issues. Blue Apron - Delivers all the ingredients you need to your home to make a delicious meal in exactly the right proportions. Handy - Book home cleaners and handymen services. Minibar Delivery - Wine, spirits, beer, and mixers, available for delivery in 30 to 60 minutes. Washio - Dry cleaning and laundry service. International Action Center (IAC) - San Francisco - Organizes mass meetings, demonstrations, forums, sit-ins, and teach-ins against U.S. military intervention, racism, and lesbian and gay oppression and for jobs, housing, health care, immigrant rights, and education. Also see Current Actions nationwide. International Solidarity Movement (ISM) Support Group - Recruits and supports Bay Area volunteers to participate in ISM actions in Palestine. Janet Pomeroy Center - 207 Skyline Blvd., San Francisco. Provides recreational, vocational and educational opportunities for people with disabilities through programs and services that encourage self-expression, promote personal achievement, and lead to greater independence. The Janet Pomeroy Center mission extends beyond San Francisco to include programs and services in San Mateo County. Jewish Community Center of San Francisco - 3200 California Street, SF, CA 94118. Ph: 415.292.1200. The oldest Jewish center on the West Coast, providing educational, social, cultural and fitness programs to the community since 1877. Open to all, with the mission of building and preserving Jewish Identity, JCCSF programs and services. Jewish Family and Children's Services (JFCS) - Comprehensive, nonsectarian social services to Bay Area residents of all ages. Joint Venture Silicon Valley - A South Bay advocacy group that brings together business, labor, government, and the community to build a sustainable and innovative economy. La Collectiva - A worker-run house cleaning collective. La Raza Centro Legal - Founded in 1973, La Raza Centro Legal provides direct legal services, education, leadership development, and opportunities to organize around community issues. As a bilingual and multicultural staff, it seeks to create a more just and inclusive society in the interest of the Latino, indigenous, immigrant and low income communities of San Francisco and the greater Bay Area. Programs in employment, housing, immigration, naturalization, senior and youth law enable people to exercise their legal rights, confront injustice, increase self-sufficiency, and advocate for themselves. Larkin Street Youth Services - Helps young people find alternatives to street life by developing the skills, resources and strategies to achieve stable housing and economic self-sufficiency. Based in the Tenderloin and Haight neighborhoods of San Francisco, LSYC offers a comprehensive continuum of services designed to respond to youth's immediate, emergency needs, while encouraging them to participate in programs that enhance their long-term opportunities and capacity to compete effectively in today's social and economic environment. Lawyers' Committee for Civil Rights of the San Francisco Bay Area (LCCR) - Works to advance, protect and promote the legal rights of communities of color, and low-income persons, immigrants, and refugees. Assisted by hundreds of pro bono attorneys, LCCR provides free legal assistance and representation to individuals on civil legal matters through direct services, impact litigation and policy advocacy. Legal Aid Society-Employment Law Center (LAS-ELC) - Works to advance the workplace rights of low-income and minority workers. Legal Services for Children (LSC) - Provides free legal and social work services to children and youth in order to stabilize their lives and help them realize their full potential. 1254 Market St. 3rd Floor, San Francisco, CA 94102. Livable City - An advocacy group that promotes walking, bicycling, and transit as the cornerstones of urban transportation. Marin / Sonoma Mosquito & Vector Control District (MSMVCD) - In the northern San Francisco Bay area, MSMVCD is the Marin and Sonoma County representative of the Mosquito and Vector Control Association of California, a service organization encompassing 50 regional member agencies. The District maintains a small but highly trained unit responsible for the prevention, elimination or control of mosquitoes and other arthropods known to be potential carriers of infectious diseases, or presenting a public nuisance. Marin Convention and Visitors Center - Official travel resource for Marin County, California. Mechanics' Institute Library - Library of circulation and reference, with reference department librarians providing a broad range of subject expertise in the humanities, social sciences, and applied sciences. Medi-Cal Health Care Coverage - Information provided by Human Services Agency of San Francisco. Mickaboo - Companion bird rescue. Mickaboo is a small bird rescue organization located in the San Francisco Bay Area dedicated to rescuing parrot-type birds that have been either neglected, abused, sick, or injured. It rehabilitates these birds when necessary and places them in safe, caring foster homes until a permanent home can be found. Mission Cultural Center for Latino Arts - Promotes, preserves and develops Latino cultural arts that reflect the living tradition and experiences of Chicano, Central, and South America, and Caribbean people. National Japanese American Historical Society (NJAHS) - Dedicated to the preservation, promotion, and dissemination of materials relating to the history and culture of Japanese Americans. National Lawyers Guild - San Francisco Bay Area Chapter - At the forefront in the Bay Area in the defense against the U.S.'s government's attack on civil liberties. The Hotline at (415-285-1041) fields calls on a daily basis. Nature in the City - San Francisco's first organization wholly dedicated to ecological conservation, restoration and stewardship of the Franciscan bioregion. Neighborhood Emergency Response Team (NERT) - A free training program for individuals, neighborhood groups and community-based organizations in San Francisco. Through this program, individuals will learn the basics of personal preparedness and prevention. Neighborhood Parks Council - A city-wide organization that advocates for clean, safe, and enjoyable parks, playgrounds, and recreational facilities in San Francisco. New Dimension Housekeeping Agency - Honest, reliable, professional housekeepers in San Francisco. New People - The 20,000-sqft. entertainment complex that is produced and managed by New People, Inc., which promotes the latest examples of Japanese popular culture expressed though film, art, fashion, and various events. Located in the heart of historical San Francisco's Japantown since 2009. NextGen Climate Action - A non-partisan, San Francisco-based organization focused on bringing climate change to the forefront of America's political dialogue. Founded by investor and philanthropist Tom Steyer in 2013, the organization acts politically to avert climate disaster and preserve American prosperity. Working at every level, it is committed to supporting candidates, elected officials and policymakers across the U.S. that will take action on climate change-and to exposing those who deny reality and cater to special interests. No Wall on the Waterfront - Working throughout 2013 with a citywide coalition of neighborhood associations, waterfront businesses, and tenant groups to urge San Francisco voters to reject the 8 Washington waterfront height-limit increase on the Nov. 5 ballot. Nonprofit Housing Association of Northern California (NPH) - As the collective voice of those who support, build and finance affordable housing, NPH spurs citizen action and focuses government policy on housing solutions for low-income people who suffer disproportionately from the housing crisis. North Beach Chamber of Commerce - This site presents information on the neighborhood that has it all: romantic cable cars; Lombard Street - the world's crookedest street; Coit Tower; historical, landmark buildings; the challenging steep slopes of Russian Hill and Telegraph Hill; fantastic bay and city views; the country's oldest urban street festival, an outstanding, international selection of restaurants and cafes; clubs and saloons with live music; poetry readings and cafe opera; excellent small theaters; and a diverse, interesting cluster of shops. Oakland Bay Bridge Project - Offers a window into the historic work being done on the Bay Bridge, from the retrofitting of the original West Span, to the demolition and replacement of the West Approach, to the construction of the new Skyway and dramatic single tower Self-Anchored Suspension (SAS) span. One Brick SF Bay Area - Brings volunteers together to support other local non-profit organizations by adopting an innovative twist to the volunteer experience. Creates a friendly and social atmosphere around volunteering, and after each volunteer event - which typically last only 3 to 4 hours - invites volunteers to gather at a local restaurant or cafe where they can get to know one another in a relaxed social setting. orgSpaces - Brings together information about space availability, planning, funding, and sharing to help non-profits stay and thrive in San Francisco. Our Bay on the Brink - A campaign to engage business, political, and community leaders and encourage them to make efforts to address the threat of sea level rise and climate change. Pacific Institute - Conducts interdisciplinary research and partner with stakeholders to produce solutions that advance environmental protection, economic development, and social equity-in California, nationally, and internationally. Based in Oakland, California. Parent Voices - A project of the California Child Care Resource and Referral Network. This chapter organization works throughout California to improve access to child care for all families in their communities, in California, and in the United States. Parents for Public Schools - San Francisco Chapter - A network of parents working together to build and ensure quality public education for all children in San Francisco. PEACHSF - Parents, teachers, school administrators, healthcare professionals, and advocates for better school food in San Francisco. Peninsula Peace and Justice Center (PPJC) - Fighting against U.S. military intervention, corporate globalization, the death penalty, and other issues. The Peace and Justice Center has a well-deserved reputation for presenting some of the finest speakers around. Permits and Lawyers - Information on the permits one needs to legally operate a nightclub in San Francisco, as well as information on how to operate an audio webcast legally. Pets Are Wonderful Support (PAWS) - Serving low income San Francisco residents with AIDS and other disabling illnesses and their animal companions. PG&E Outage Map - This map shows the current outages in PG&E's 70,000-square-mile service area. To see more details about an outage, including the cause and estimated time of restoration, click on the color-coded icon associated with that outage. Page also provides other resources on outages, including life support, compensation for extended outages, notifications, etc. Pier 39 - Shops, restaurants, and attractions on the San Francisco Bay. The Piers - Piers 1½, 3 and 5 are ideally located in San Francisco along the northeast waterfront of the Financial District on the Embarcadero, between Washington Street and Broadway. The Piers join the newly renovated Ferry Building and Pier 1 as well as a plethora of businesses and restaurants within the Financial District and Ferry Building, including the Ferry Plaza Farmer's Market. The state of the art, high tech office design balances the rich history of the Bay Area and the Embarcadero with the modern construction on Pier 3. This distinctive architectural design allows for a combination of public use, commercial space, modern office space, in conjunction with several restaurants and cafes. Point Reyes - Information on outdoor activities, wildlife, local businesses and more at Point Reyes National Seashore and surrounding areas. Polk St - Polk Street runs from Ghiradelli Square at Beach Street at the North end South to Market Street near City Hall and the Civic Center. Located on the West side of Nob & Russian Hill. This site covers: automotive, business services, community & government, computers & internet, education, entertainment, finance & professional, food & dining, health & medicine, home & garden, personal care & beauty, real estate, shopping, sports & recreation, travel. POPOS and Public Art - Privately-owned public open spaces (POPOS) are publicly accessible spaces in forms of plazas, terraces, atriums, small parks, and even snippets which are provided and maintained by private developers. San Francisco has a 1% Art Program that requires all projects involving new building, or the addition of 25,000 square feet or more in the Downtown and nearby neighborhoods, provide public art equal to at least 1% of the total construction cost. In the summers of 2011 and 2012, for the first time, Planning Department staff visited all POPOS and required Public Artworks and created a comprehensive database. Since then, staff have routinely updated the database to show the latest built and public art. The resulting map, provided here, is intended to raise awareness of such spaces and works of art that are available to the public. Potrero Hill Community Garden - Established in the early 1970s, the Potrero Hill Community Garden is one of more then 50 gardens operating under the San Francisco Recreation and Park Department. Photo: Chris Carlsson. Located at 20th and Vermont Streets. Prelinger Library - An appropriation-friendly, browsable collection of approximately 40,000 books, periodicals, printed ephemera and government documents.The library, located at 301 8th Street, Room 215 in San Francisco, serves readers, artists, scholars and other iconoclastic thinkers. Centered on histories of U.S. regions, culture, industry, landscape, natural history, media, and politics (and other things). Open to the public. Also see Prelinger Library Blog. Prime Buyer's Report - Definitive guide to local shopping to local Bay Area shopping. PSPrint - More than just an online printing company, PsPrint is your integrated marketing and direct mail partner. High-quality online printing products plus value-added services like custom graphic design, direct mailing list creation, direct mail fulfillment, and more. Color printing: business card, postcard, poster, calendar, flyers, brochure online printing. PTA Second District (San Francisco) - The Second District is PTA at the county level. Chartered in 1907, it encompasses all of San Francisco County, California - 8900 members strong. Works in partnership with the San Francisco County Office of Education, and provides parental input on a variety of issues. The first third of the total PEEF fund is allocated to San Francisco First Five for pre-school support. The second third supports sports, libraries, the arts and music (SLAM). The last third funds programs such as Wellness Centers, Student Support Professionals, Translation Services, and Peer Resources (Third-Third). PurpleAir - Air quality monitoring. See San Francisco. Really Really Free Market (RRFM) - A non-hierarchical collective of individuals who form a temporary market based on an alternative gift economy. The RRFM movement aims to counteract capitalism in a non-reactionary way. It holds as a major goal to build a community based on sharing resources, caring for one another and improving the collective lives of all. Markets often vary in character, but they generally offer both goods and services. Participants bring unneeded items, food, skills and talents such as entertainment or haircuts. A RRFM may take place in an open community space such as a public park or community commons. REBAR - An interdisciplinary studio based in San Francisco and operating at the intersection of art, design and activism. Our work encompasses visual and conceptual public art, landscape design, urban intervention, temporary performance installation, digital media and print design. Recology - Provides collection, recycling, compost, and disposal services. Also see Residential Compost Collection Program. Ruckus Society - Provides training in the skills of non-violent civil disobedience to help environmental and human rights organizations achieve their goals. Based in Oakland. Rugged Elegance: San Francisco - Lifestyle guide identifying high-end hotels, restaurants, shops and services that fit the "rugged elegance" aesthetic. Russian Hill Neighbors - Nonprofit neighborhood organization established in 1981 to encourage friendly association among Russian Hill neighbors and merchants and to respond to neighborhood concerns. Salvation Army: Golden State Division - Provides many valuable services, such as senior housing, rehabilitation programs and after school programs. San Franciscans for Our City's Health - Information on Hunters Point Naval Shipyard contaminationn and efforts to get it cleaned up. San Francisco (Wikipedia) and San Francisco (Wikitravel) - Backgrounder articles. San Francisco Aparmtment Association (SFAA) - Property owner association, educating, advocating for, and supporting the rental housing community. San Francisco Architectural Heritage - Works to preserve architecturally and historically significant structures and promote public appreciation for historic preservation. San Francisco Arts Commission (SFAC) - Programs and special projects, including Art Gallery, Arts in Education, Civic Art Collection, Civic Design Review, Community Art, Cultural Equity Grants, Pop Concert Series, Public Art, Street Artists, and more. San Francisco Bay Access - Bay Area information and resources. San Francisco Bay Area Private Schools - Online gathering place to explore private K-12 education in the San Francisco Bay Area. A comprehensive site for parents searching for private schools in the San Francisco Bay Area. Contains the most extensive list of private schools, insightful information, bulletin boards, school open house schedule, special education resources, and scholarship information. San Francisco Bay Area Progressive Directory - A guide to about 1000 organizations in the San Francisco Bay Area of interest to progressive activists. San Francisco Bay Area, California Climate Summaries - Monthly climate summaries for 25 Bay Area stations using data over a period of 50 years. San Francisco Bay Plan - The Bay Plan was prepared during three years of study and public deliberation by the members of the San Francisco Bay Conservation and Development Commission. This document presents the two essential parts of the Bay Plan: the policies to guide future uses of the Bay and shoreline; and the maps that apply these policies to the present Bay and shoreline. San Francisco Bay Watershed - Background information about NOAA's Coastal Protection and Restoration Division's San Francisco Bay Watershed Project and the San Francisco Bay environment. San Francisco Bay National Wildlife Refuge Complex - From sand dunes to salt marsh, from rocky, offshore islands to golden beaches, the San Francisco Bay National Wildlife Refuge Complex offers a glimpse into the biological wonders of the San Francisco Bay Area. Despite booming industries and growing populations, these National Wildlife Refuges preserve an incredibly complex ecosystem. San Francisco Beautiful - Organization working to control excessive billboard proliferation, for revitalization of park programs, on the undergrounding of overhead utility wires, on streetlighting issues, on newsrack ordinances, and on other civic issues affecting San Francisco. San Francisco Bicycle Coalition (SFBC) - Promoting the bicycle for everyday transportation. San Francisco Business List - Directory of San Francisco businesses. San Francisco Chamber of Commerce - Business organization for advocacy, networking and economic growth. Also see the San Francisco Chamber of Commerce Business Directory. San Francisco City Attorney's Office - Provides legal services to the Mayor, Board of Supervisors, San Francisco Unified School District and the 94 departments, boards, commissions and offices of the City and County of San Francisco. San Francisco CitySpace - A cultural organization that examines the city across a range of disciplines such as architecture, film, and mapping. San Francisco Community Gardens - Find a garden. San Francisco Democratic Women in Action - A chartered Democratic club that serves, promotes, advances and protects the interests of women, children and families. San Francisco District Attorney's Office - Investigates and prosecutes crime in San Francisco and supports victims of crime. San Francisco Districts - San Francisco is divided into eleven districts. On the map here you may click each district and it will link you to detailed information about the area and its political representation. San Francisco Domestic Violence Consortium - Dedicated to eliminating domestic violence and ensuring the basic rights of safety, self-determination and well-being to victims and survivors of domestic violence and their children. San Francisco Employees' Retirement System (SFES) - SFERS administers two benefit programs for active and retired members: a Pension Plan (defined benefit plan) and a Deferred Compensation Plan (457(b) Plan). San Francisco Estuary Partnership - A coalition of resource agencies, non-profits, citizens, and scientists working to protect, restore, and enhance water quality and fish and wildlife habitat in and around the San Francisco Bay Delta Estuary. San Francisco Food Bank - Collects donated food from growers, manufacturers and grocers, then distribute it to people in need through food pantries, soup kitchens, child care centers, homeless shelters, senior centers and other human service agencies with meal programs. Distributes more than 12 million pounds of food each year to hungry people in San Francisco. San Francisco Free Help Charts - Five charts to help find free food, shelter, medical aid, and help with neighborhood problems. Each of the charts can be downloaded to your computer. San Francisco General Hospital and trauma Center - A licensed general acute care hospital within the Community Health Network, which is owned and operated by the City and County of San Francisco, Department of Public Health. SFGH provides a full complement of inpatient, outpatient, emergency, skilled nursing, diagnostic, mental health, and rehabilitation services for adults and children. It is the largest acute inpatient and rehabilitation hospital for psychiatric patients in the City. San Francisco Green Party - Initiatives, bylaws, values, news, meetings and working groups information, voter guide and more at official San Francisco Green Party website. San Francisco Green Schoolyard Alliance - The SFGSA promotes community-driven processes that create and maintain healthy, environmentally sustainable learning environments in San Francisco's schools. San Francisco Housing Action Coalition - Advocates for more housing opportunities in San Francisco at all income levels. San Francisco Labor Council (SFLC) - The SFLC is the local body of the AFL-CIO and was chartered in 1893 to be the coordinating regional body for labor cooperation and unity. It is a membership organization serving as a coalition of the labor community in San Francisco. Over 150 unions are affiliated with the SFLC, representing more than 100,000 union members and their families. San Francisco Landmarks - Historic sites in San Francisco. San Francisco Late Night Coalition (SFLNC) - Political action committee dedicated to saving the future of San Francisco's nightlife and arts scene. Membership includes anyone who has an interest in the future late-night entertainment in San Francisco - DJs, record producers, music and retail store owners and employees, visual artists, groovers, clubbers and ravers, clubs and venue owners and employees, and rockers and musicians. San Francisco Law Library (SFLL) - Online catalog, links and resources, library hours, location, services and other information. The Law Library serves the courts, departments of the City and County of San Francisco, members of the Bar, and the public at three locations: the main library in the Veterans War Memorial Building (Ph: 415-554-6821), the smaller Monadnock branch in the financial district (Ph: 415-882-9310), and the attorney reference room in the new courts building on McAllister Street (Ph: 415-551-3647). San Francisco League of Conservation Voters - Promoting environmental protection through active participation in the San Francisco political system. San Francisco Locally-Owned Merchant Alliance (SFLOMA) - Endeavors to identify and promote locally owned independent retail businesses in San Francisco. San Francisco Medical Society (SFMS) - A non-profit organization consisting of over 1500 physician members and fifteen staff members that advocate for the interests of San Francisco physicians and their patients in the interest of public health. San Francisco Neighborhood Emergency Response Team (SFNERT) - Assists in times of disaster and provides training for such assistance. San Francisco Neighborhood Guide - San Francisco Chronicle picks of some of the best sights, restaurants, shopping and nightlife in the area. San Francisco Neighborhood Theater Foundation (SFNTF) - Dedicated to preserving and maintaining the City's last remaining neighborhood cinemas. San Francisco Neighborhoods - This San Francisco neighborhood guide breaks down the basics of each neighborhood, outlining the main drags and some of the more notable hotspots unique to each. No trip to San Francisco would be complete without visiting such destinations as the Castro, Haight-Ashbury, SOMA, Chinatown, North Beach, Union and Pacific Heights. North Beach Station - 1640 Stockton Street, San Francisco CA 94133. PH: (415) 362-8225. Pine Street Station - 1400 Pine Street, San Francisco CA 94109. PH: (415) 776-4585. Rincon Finance Station - 180 Steuart Street, San Francisco CA 94105. PH: (415) 896-1879. San Francisco City and County Treasurer - #1 Dr. Carlton B. Goodlett Place, City Hall, San Francisco, CA 94102. PH: (415) 554-4643. San Francisco-Chinatown - 867 Stockton Street, San Francisco, CA 94108-9991. PH: (415) 433-41202. Sutter Street Station Postal Retail Store, 150 Sutter Street, San Francisco CA 94104. PH: (415) 765-1761. San Francisco Performing Arts Library and Museum (PALM) - PALM preserves and makes accessible materials about the performing arts, with a special emphasis on the San Francisco Bay Area's rich and diverse performing arts heritage from the Gold Rush to the present. Its unique collection contains more than two millon items, including books, periodicals, photographs, programs, playbills, newspaper clippings, audio and video tapes, costume and set designs, and other artifacts. PALM also houses the archives of many local performing arts organizations, such as the San Francisco Ballet, Opera, and Symphony, as well as the Stern Grove Festival, the Ethnic Dance Festival, Pickle Family Circus, and The Lamplighters. San Francisco Police Department - Information, police bureaus, statistics, community relations. San Francisco Public Defender's Office - Provides legal representation to people who charged with a crime and unable to afford an attorney. The office provides legal representation to over 25,000 indigent people charged with crimes each year. San Francisco Rising Action Fund - An electoral alliance that builds the political power of working class communities of color in San Francisco. San Francisco Sheriff's Department - Administers San Francisco's six county jails. Also see Jails page. San Francisco Teacher Residency (SFTR) - Recruits and prepares teachers who are able to improve equity and achievement for historically underserved students in San Francisco's highest-needs schools in the subject areas of math, science and bilingual Spanish. San Francisco Unified School District (SFUSD) - Founded in 1851, San Francisco Unified School District educates approximately 55,000 of San Francisco's pre-school, elementary, middle and high schools with the philosophy 'every child can learn.' All schools linked here. San Francisco Village - Working to increase the physical, emotional, intellectual, social, and spiritual well-being of adults who choose to live in their own homes as they age so they can remain independent, active, and engaged in the San Francisco community. San Francisco Women's Political Committee - Works to engage women in all dimensions of the political process and to increase awareness of issues that affect women generally. San Francisco Zoo - Fees, hours, directions, exhibits, programs. San Francisco’s 21 Best Privately-Owned Public Open Spaces (POPOS) - Neither obvious nor clearly marked, POPOS are all over downtown San Francisco—and everyone is welcome. SanFranGasPrices - Informs consumers of gas prices at stations around the Bay Area. Save Golden Gate Park - Working against Beach Chalet Soccer Fields project planned for Golden Gate Park, a development that would feature artificial turf with toxic shredded rubber tiresfor in-fill, ten 60-foot tall towers beaming AT&T Park-like lights into the night-right across from Ocean Beach. These lights would blaze from dusk until 10:00 p.m. every night of the year. See Firedoglake article. Save the Bay - Seeks to preserve, restore and protect the San Francisco Bay and Sacramento/San Joaquin Delta Estuary as a healthy and biologically diverse ecosystem. Saving the Bay - A movie about the history of the movement to save San Francisco Bay-- great footage, great story. Seneca Center - Founded in Berkeley, California, in 1985, Seneca Center provides care for seriously troubled children and their families in Northern California. Seneca's team-oriented approach emphasizes unconditional care, individualized treatment, focus on family, and a continuum of care. SF-GetCare - The information system of the San Francisco Department of Aging and Adult Services (DAAS). SF-GetCare is designed to assist older adults and people with disabilities who need to locate supportive services and resources in order to continue living at home and in the community. Using this Website, you can easily obtain information about San Francisco's in-home and community-based services, plus social, volunteer, and job training opportunities. SF311 - 3-1-1 is an easy-to-remember telephone number that connects customers with highly-trained Customer Service Representatives ready to help you with non-emergency City and County of San Francisco government matters, 24-hours a day, 7 days a week, 365 days a year. SFGov - Official website for the City and County of San Francisco, providing information about departments, meetings, legislation, regulations, and community resources. SFMission - City guide to San Franicsco's Mission District. SFTravel - Independent guide to what's worth seeing and how to avoid the tourist traps in San Francisco's foggy maze. In-depth hotel and restaurant reviews from past visitors with great San Francisco hotel reservation discounts. Detailed guide to convenient and affordable airport transportation from all Bay Area airports. SFTrees - Mike Sullivan explores San Francisco's diverse urban forest. The site includes listings of specific tree addresses, including landmark specimens, information about local nursuries, and links to additional resources for involving yourself in San Francisco's urban forestry issues. Silicon Valley Leadership Group - Business advocacy group for the South Bay working on economic development, affordable housing, transportation, and sustainability issues. Skypod - Changing the way people will cross the San Francisco Bay. South Bay Mobilization - A coalition of progressive organizations and individuals who are working together to oppose U.S. interventions that violate rights of self-determination abroad and undermine civil liberties, economic rights and environmental protections here at home. Stop the Spray - Thousands of California residents are being sprayed with potentially harmful and partially undisclosed chemicals. Demand safe alternatives to aerial pesticide spraying. SuperPages.com: San Francisco City Guide - Links for San Francisco retailers and services. Telegraph Hill Dwellers - Founded in 1954 to perpetuate the historic traditions of San Francisco's Telegraph Hill and to represent the community interests of its residents and property owners. TeleSails - A San Francisco-based charge-by-phone service, specializing in both general admission and seated events. Provides access to recreational and entertainment activities, including theater shows, wine country and city tours, Bay excursions, exclusive passage to Alcatraz Island, and special performances on the west coast. Tenderloin Housing Clinic - Operates the City's largest permanent housing program for single homeless adults and is a leading provider of legal services to low-income tenants. Thoreau Center for Sustainability - Manages an environmentally and financially sustainable facility in the Presidio of San Francisco. It houses a vibrant community of primarily not-for-profit organizations working for a healthy environment and a just society. The Center also facilitates education and community building for and with this community of organizations. TIX Bay Area - TIX Bay Area is the half-price ticket booth at Union Square in San Francisco. Operated by Theatre Bay Area. Tom Waddell Transgender Clinic - Urgent care clinic. Anyone who identifies as transgender can be seen at the clinic: male-to-female, female-to-male, intersex, and those in-between. Traffic - Live Bay Area traffic reports, articles and information at SF Gate.com. Treasure Island Development Authority (TIDA) - Treasure Island and Yerba Buena Island are home to over 3,000 residents as well as a number of commercial tenants, athletic facilities, schools and community serving organizations. The Islands are open for public use and recreation at all times, and TIDA encourages all Bay Area residents and visitors to take advantage of the Islands' spectacular location and recreational amenities. Please note however that certain appropriately marked areas of the Islands are still considered off-limits to the public due to CalTrans activity and on-going environmental analysis. Treasure Island Flea - This monthly event (every last full weekend) has become a Bay Area hallmark and is Northern California's largest monthly gathering of artists, collectors, designers, crafters and food trucks. In addition the event showcases local musicians, entertainers and hosts a full bar with local wines, beers, and spirits. The event has been coined 'the Festival of the Bay' and attracts an average attendance of 15,000. U.S. Army Corps of Engineers, San Francisco District - Mission, duties, responsibilties, news, projects, publications and studies. Ultimate Resource for San Francisco - San Francisco resources grouped by category. United Irish Cultural Center of San Francisco - Organized to provide our members with beautiful dining and banquet facilities for social, recreational, athletic and cultural activities. Located just three blocks from the magnificent Golden Gate Recreational Area at Ocean Beach. United Nations Association of San Francisco - San Francisco chapter of the United Nations Association of the United States of America (UNA-USA), the national organization dedicated to enhancing U.S. participation in the United Nations system. UPROAR - Since 1996 there has been a significant increase in the air traffic flying over Bay Area communities. Large commercial planes used to fly over the Bay and at much higher altitudes, but are now flying at far lower altitudes and at increased frequency over urban and suburban neighborhoods. A citizen's organization, UPROAR, has been formed to address commercial air traffic and air traffic noise over our Bay Area Communities. Uptown Tenderloin Historic District - The Uptown Tenderloin was officially designated a national historic district in 2009. This group assists in an historic district plaque project and helps publicize ongoing efforts to preserve the historic nature of the area. Urban Ecology - Promotes sustainability through urbanism, advocating density, diversity, and transportation choices. Especially active in the East Bay. Urban Solutions - Economic development non-profit that helps small businesses get started in San Francisco and works to re-vitalize some of the city's most challenged commercial corridors. Urojas Community Services | Transitional Housing Options (Oakland) - Offers short-term and long-term housing options for individuals coping with the following: release from incarceration and community re-entry, mental illness, substance abuse, dual diagnosis, and domestic violence. Offers housing options for women with children and for single men with children. Provides assistance with independent living skills, in-home care needs, enrollment in school or training programs, and job search. Volunteer Center of San Francisco (VCSF) - Offers a broad range of programs designed to get people involved in their community. Recruits and refers volunteers for more than 900 nonprofits in San Francisco. Provide San Francisco with a centralized source of volunteer information. Volunteer Legal Services Program - A nonprofit program of the Bar Association of San Francisco created to provide free legal services to low-income San Franciscans. Walk San Francisco - San Francisco's pedestrian-advocacy group. Waterkeeper Alliance: San Francisco Baykeeper - Works to reverse the environmental degradation of the past and promote new strategies and policies to protect the water quality of the San Francisco Bay. Western Neighborhoods Project (WNP) - A nonprofit organization formed to preserve and document the history and culture of the neighborhoods in western San Francisco. World Affairs Council of Northern California - A non-profit, non-partisan educational organization devoted to engaging the public in a discussion of the trans-national issues of tomorrow. It serves its 10,000 members and the general public throughout Northern California and beyond. Through its Board of Directors and its chapter network, it maintains close ties to and deep roots in the Bay Area community. Its electronic outreach and membership in the World Affairs Council Network give it national reach. Yahoo! San Francisco Bay Area - Directory of San Francisco resources. Yelp - Find, recommend and talk about what's great - and not so great - in San Francisco and beyond. Members share their favorite recommendations - everything from the latest restaurants and shops, to the best hair salons and spas, to doctors and yoga instructors. Zonability - Local zoning information. This webpage last updated on Monday, January 21, 2019 12:49 PM.